The world of streaming has plenty of developments this week. Here are some of the developments at the popular streaming services you should know about! DIRECTV NOW Locals Cover 75 Percent of U.S.
Good news, DIRECTV NOW streamers! AT&T announced an additional 13 local ABC, Fox, and NBC affiliates to its live TV streaming service. Streaming fans in these areas should be pleased to know that DIRECTV NOW is committed to making your local TV stations available through this service. With these newly added stations, DIRECTV NOW has 75 percent of the U.S. covered with at least one local affiliate. Hulu users will be able to stream exclusive premium ESL (formerly Electronic Sports League) eSports content through the streaming service’s video-on-demand service. Don’t know what “eSports” is? It is the preferred name for professional and semi-pro video game competition. This is a growing market and Hulu has managed to capture it for its viewers. The deal includes four unique eSports series, such as athlete training and preparation, news, and ESL tournament coverage. If you’re an avid gamer, this might be for you. If Netflix is your streaming service of choice, expect to pay a bit more for this experience. Netflix recently announced that the cost for its standard HD plan with two streams will increase to $10.99/month from $9.99/month. Its higher end 4K plan with four streams increased to $13.99/month from $11.99. Netflix’s basic plan with one stream remains at $7.99/month. The increases took effect on October 5, 2017. Netflix hasn’t announced the reason for the price hike, but it’s not hard to guess. Netflix plans to spend $7 billion on new content this year. Someone has to pay for all those original series the network produces and the content it acquires. Those costs will be spread out among Netflix’s 93+ million subscribers. While Netflix’s costs are going up, its content count is going down a bit. Fox plans to pull most of its shows in October. If that weren’t bad enough, Disney plans to pull its movies from Netflix in 2019. Netflix’s price increase makes it about $1 less per month than Hulu’s new commercial-free plan. Personally, I think that’s not much of a different for all the amazing programming Netflix has to offer. But if this price gap widens – and Hulu adds more outstanding original content – this could become a threat to Netflix’s spot atop the streaming services throne. Playstation Vue plans to fix the errors it has in its local TV affiliates. The streaming service has encountered difficulties in delivering the right local TV stations to the right users. Some have reported getting TV stations from other media markets. As Sony works to fix this issue, it might cause some users to temporarily lose their ABC, CBS, Fox, and NBC locals on November 8, 2017. Some users might receive an On Demand version of their local affiliates during this transitional time. [quote]We are writing to let you know that on November 8, 2017, some local broadcast channels (ABC, CBS, FOX, NBC) may change to a different local version of the channel or may change to an On Demand version of the channel. This happens as we align our geographic regions with each channel’s local area. If your area transitions to an On Demand version of the channel, you will retain access to a wide variety of national programming from the channel, available in an On Demand format. Note that live sports do not play on On Demand versions of channels. In other Playstation Vue news, the streaming service recently added a “remote control” to its DVR capability. Now, you can access your DVR using your mobile device. The company also added the ability to restart live TV while you’re recording. It’s also made it easier for you to find the shows you enjoy, as well as the ability to restart the live you’ve set up to record on your DVR. This gives you the option to start the episodes you’re recording from the beginning or watch it live. YouTube TV is available in new markets, extending the reach of this relatively new streaming service. Grand Rapids, MI is one of these markets, though ABC and CBS are all that’s currently available. Fox and NBC is only available through on-demand access. Google hasn’t announced the full list of its newly added markets. YouTube TV’s market expansion intensifies its efforts to compete with DIRECTV NOW, Hulu, Playstation Vue, and Sling TV. All the Streaming News… Or is It? Streaming instantly delivers your favorite programming to your TV or device. The world of streaming services moves just as quickly. You can see this in the many rapid-fire developments these streaming service companies announce each week. If something is announced between now and the time you read this, I’m sure that myself (or Stuart Sweet) will be alerted to it. 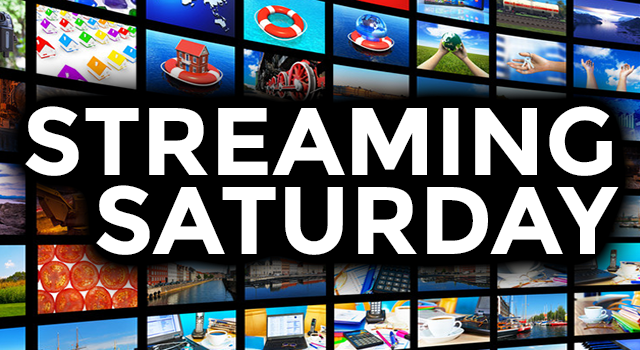 We’ll be happy to share further developments in next installment of Streaming Saturday.